The government of Iran doesn’t care much for the film “Argo,” calling it an “advertisement for the CIA,” and a Zionist plot to misrepresent the events surrounding the 1979 Islamic revolution, according to Global Post.The film shows the events of the 1979 storming of the American embassy in Tehran, and the later rescue of six U.S. diplomats that escaped the country by posing as a Hollywood film crew. Not surprisingly, the film isn’t available at theatres in the country, but many Iranians have seen it anyway. In downtown Tehran, bootleg DVDs of the film sell for about 30,000 rials, or less than $1, according to AP. 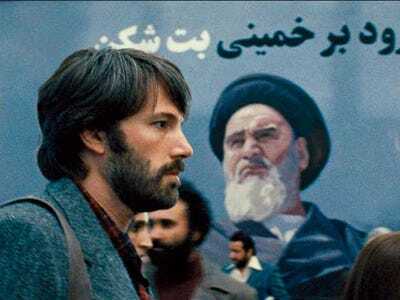 While some Iranian citizens enjoyed watching the film to see “the other side of the story,” the general feeling at street-level is disappointment. ”In my opinion, it’s a nice movie from technical aspects, and it was on the scale of Hollywood movies. But I don’t think it was worth a nomination for Oscar and other awards,” Mohammad Amin Sharifi told AP.